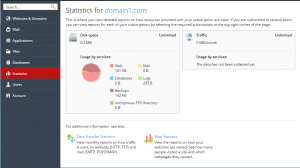 How to view website Disk Space usage Statistics in Plesk? 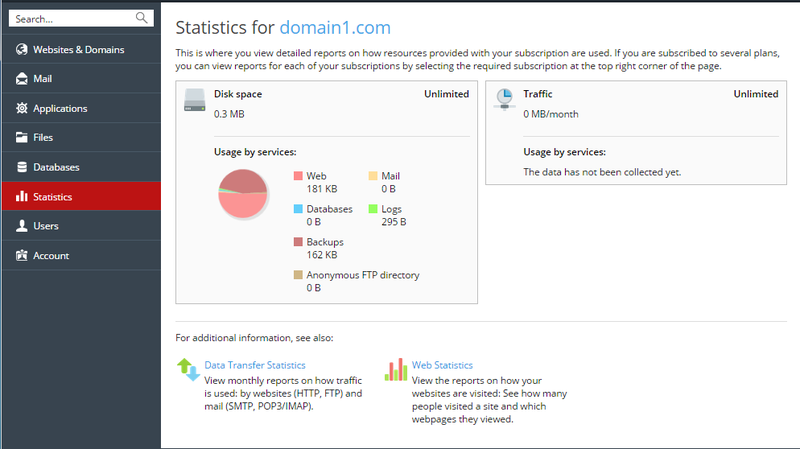 The Plesk statistics is a report in Plesk that calculates disk space, Mail Space, Database usage and traffic usage on a per domain and hosting account. Login To Plesk Control Panel. Remove any unnecessary and/or obsolete files that are stored in the httpdocs folder. Configure log rotation as described in the Log Files section. Delete outdated emails, or configure your mail client to download email messages from the server by switching to POP3. See the Access Your Mailbox section for more information. Remove outdated backup files as described in the Uploading and Downloading Backup Files section. Remove unnecessary databases. See the Website Databases section for more information. The Disk space usage by services chart displays how much space is taken up by website content, emails, backups, logs, and databases. It makes sense to pay attention to the services that use the most disk space. If none of the steps above helped, contact your provider to increase the amount of disk space available to your subscription. How To Restore a Microsoft SQL Database Backup Using SQL Server Management Studio? How To Install Let’s Encrypt SSL Certificate on Domain or Sub-domain in Plesk? How To Change Files and Directory Permissions in Plesk? How To Backup or Download Database from Plesk? 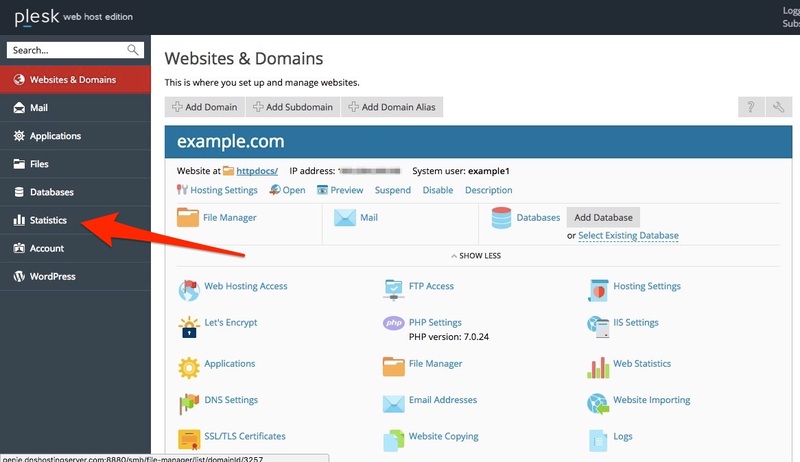 How to add or create subdomains in Plesk Control Panel? How to Delete or Remove Addon Domain from Plesk Control Panel? Copyright © 2019 WebSupporters Technologies Private Limited. All Rights Reserved.